Here is another great and easy recipe for you. 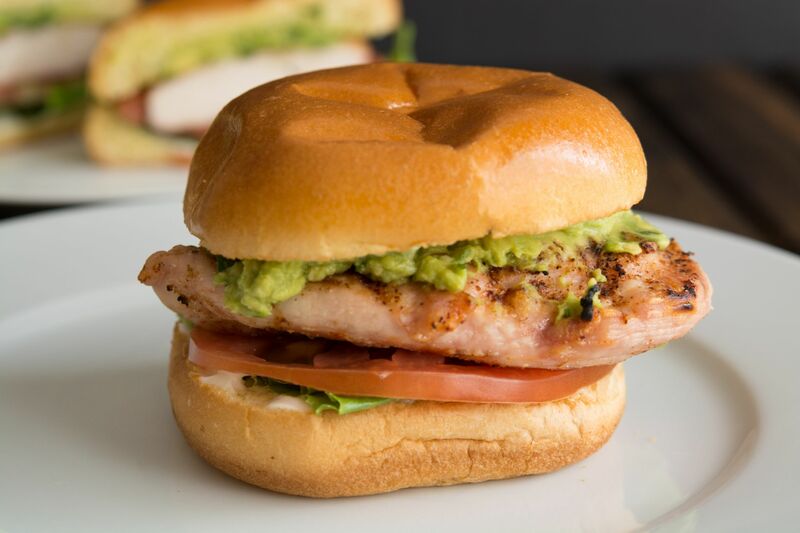 A delicious grilled chicken sandwich. 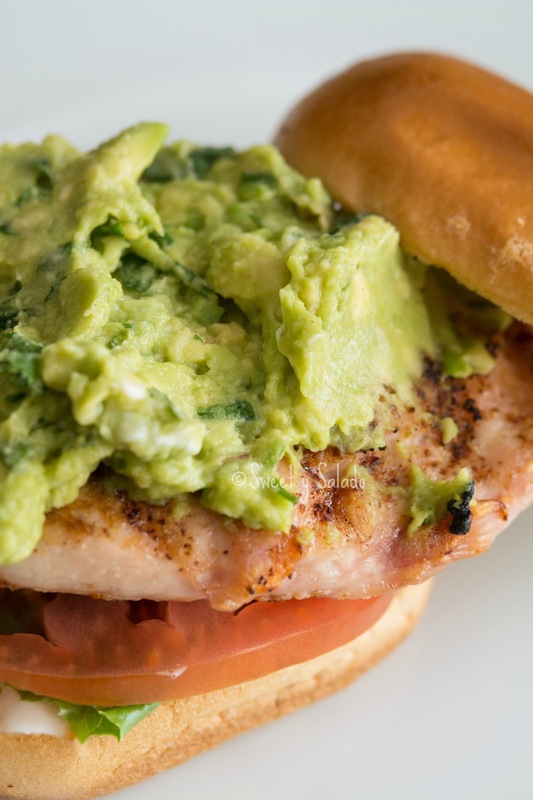 I love making this quick meal during the summer not only because you can make it in less than 15 minutes, but also because it’s healthy and I tend to serve it with guacamole. Every now and then I also make it with melted cheese on top and with a couple of pieces of bacon. Those two extra ingredients really add a ton of flavor but we’re trying to eat healthier and that’s why I usually skip them. To make this, I simply add the seasoning on top of the chicken, especially if I’m short on time. BUT, if you want to kick up the flavor you can marinate it for a few hours or overnight. One of my favorites is the one I used for the grilled chicken salad that I have on the blog. 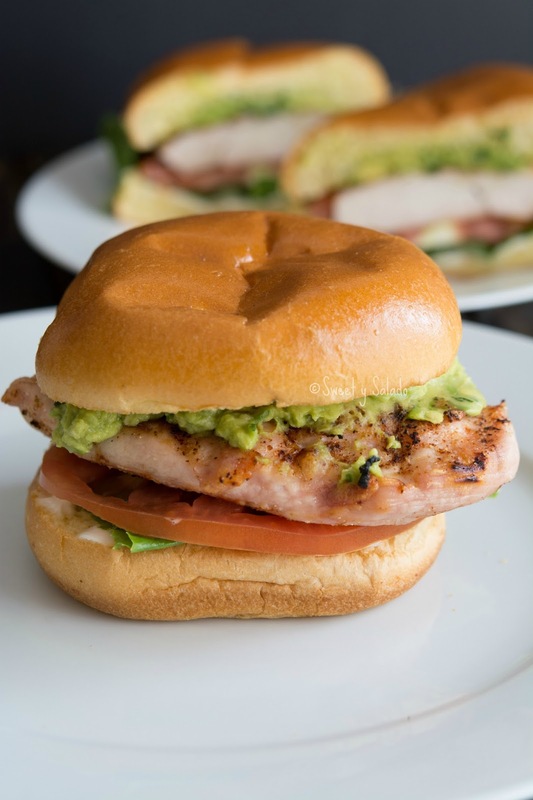 It’s so good because it adds a ton of flavor but it also makes the chicken really juicy and tender, perfect to serve with guacamole. Sprinkle both sides of the chicken breasts with the garlic powder, onion powder, cumin, chili powder and salt and pepper. Grill chicken for about 6 minutes per side or until it's no longer pink. Optional: During the last 2 minutes of grilling, place the buns on the top rack of the grill to toast them. 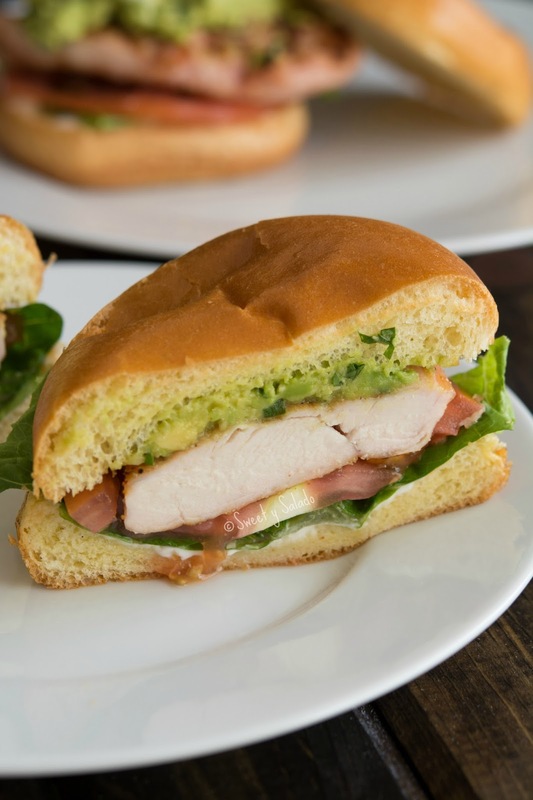 To assemble the sandwich: Spread the bottom bun with mayonnaise to taste, place lettuce on top, then add the tomato, the chicken, the guacamole and then finish with the top bun.